This is no penny-ante endeavor. Dominating the living room of Marcelo Bezos’ home is nearly a ton of copper slowly taking shape as a massive pyramid of pennies – some 300,000 of them. Stacked by hand. One coin at a time. More than 200 hours of work. When he finishes, possibly next week, Bezos will have a pyramid 30 inches square by 30 inches high, with a tower of pennies atop it extending almost 6 feet high. He’s aiming to break the Guinness Book of Records feat for coin-stacking while increasing awareness of colorectal cancer, which a family member suffers from. 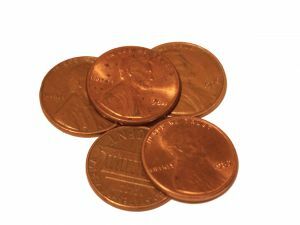 The 40-year-old University of Miami facilities administrator began stacking his pennies in early January. He works at night, hunched on a stool over the mound of money, after his wife, Elizabeth, has put their children, Marcelo, 3, and Samantha, 1, to bed. Not even the neighbors in Bezos’ gated Miramar community are aware a longstanding record’s being challenged behind his closed blinds. “They just see this white glow late into the night,” he says. The project has consumed the hundreds of thousands of pennies Bezos had collected since his parents brought him from Cuba in 1969, pennies he religiously recorded in logs and stored in five-gallon jugs. Too poor to collect more valuable coins, Bezos hoarded the pennies generous relatives became accustomed to handing him. He also studied the Guinness books, and dreamed of breaking the coin-stacking record. When Bezos turned 40 last year, and his family member’s illness worsened, he decided it was time to make his Guinness dream work toward colorectal cancer awareness. Guinness officials have assigned Bezos a claim identification number and category – tallest coin column – for his project. Collection depleted, Bezos goes to the bank to buy pennies in bulk. “I got a couple of stares,” he says. Penny by penny, Bezos expects to break the previous record of a pyramid built in 1981 with 71,825 pennies. The publicity, he hopes, will focus interest on colorectal cancer, which causes about 56,000 deaths in the United States each year. Miraculously, his two toddlers have done no damage. “Originally we thought the kids would be an issue, but they know not to touch it,” Elizabeth Bezos says. Bezos worked out an equation approximating the number of pennies needed for the completed pyramid (287,820), its weight (1,969 pounds), and cost ($2,878.20). What he hasn’t worked out is how to translate the cents into dollars for colorectal awareness and research. He may auction off stacks of coins, or set shiny ones into the pyramid’s side to spell out messages like “Get Screened for Colorectal.” Maybe he’ll take the pyramid, now resting on a heavy-duty wheeled platform, on tour. The Colorectal Cancer Network, based in Kensington, Md., endorses Bezos’ effort. “Something like this penny pyramid is truly cool. People will remember that as opposed to all the advertisements,” says organization director Priscilla Savary.